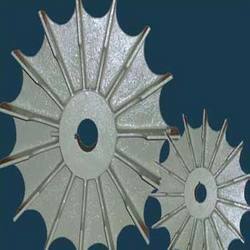 Our product range includes a wide range of casting part, die casting part and casting finishing parts. 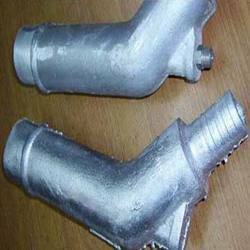 Being a reckoned name in the industry, we are offering Casting Part to our valued customers. Designed and developed in conformity with the industry laid parameters, offered products are introduced with perfect finish and rugged design. Integrated with inbuilt strength, these parts are available at industry leading prices. Being a customer-centric firm in the organization, we have introduced Die Casting Part under our product gamut. Manufactured in compliance with the approved industry norms, these parts are assured to have flawless characteristics inclusive of rugged design and uniform finish. Customers can purchase these products in various specifications in order to meet their specific needs. 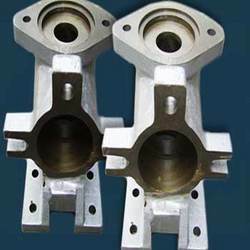 We are here engaged in the specified business of manufacturing and supplying Casting Finishing Parts. These products are made using latest technology & premium quality materials and thus, are introduced with smooth finish & anti-corrosive nature. Easy to install and dimensionally accurate, these parts are available in various specifications. Looking for Casting Parts ?